My name is Shawna Kaminski and I believe I’ve tapped into the fountain of youth. It’s not any magical concoction; it’s actually just good old fashion sweat. Most people have good intentions with their workout regimes, however, they are often uneducated and their efforts go unrewarded. When there’s no payoff for an investment in time and energy, few people continue the pursuit. Education is an answer. 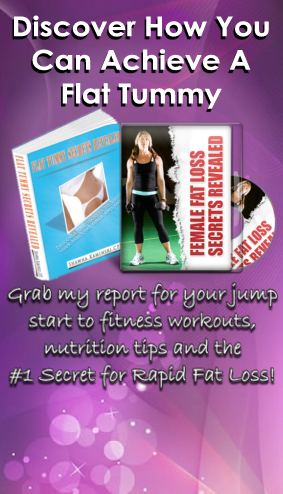 I’m here to help you sort through the facts and myths about fitness and fat loss to help you meet your goals. My passion is teaching people how to work fitness into their daily lifestyle in order to improve their quality of life. Let’s work together to help you reach your fitness goals. I’ve chosen to partner up with trainer, Mom, entrepreneur and all round super woman, Lisa Bullock. Lisa is a Personal Trainer based in Melbourne, Australia. 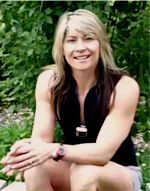 She’s run her successful fitness business for over 15 years training clients in areas as diverse as rehabilitation, Pilates, fat loss and boxing, and has trained over a 1000 clients helping them reach their health, fitness and wellness goals. 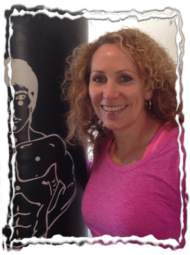 Lisa will bring her training expertise and humor to help YOU meet YOUR fitness goals. Joyce, You’re an inspiration! Thanks so much for sharing! Keep up the efforts and I know you’re going to feel and look better than ever. I was very glad to find this program. 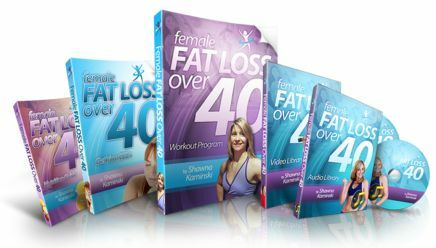 I am 47 yo female and since I turned 40 I have been gaining weight. I would diet and exercise and once I stopped it would return. I was always small growing up and ran track and field in school, so I had muscle tone, but now omg it is so hard, I couldn’t understand why. Now I know, I will be trying this way of exercising because this is how I did it when I was on the track team and I had an awsome body until I turned 40. So I will be doing this way from now on. Thanks. I will pass it on to my friends and family. @Christina: Good plan! Surprisingly, the things that worked when we were younger will still work, we just need to be more dedicated and consistent. We need to have some muscle on our bones to keep our metabolism revved up. Keep in touch Christina. Dwayne, I tried to email you and it bounced. Feel free to contact me and we can discuss how we can both help our readers. I am beginning to feel my age.